Chat about specific magicians and their shows, their careers and their place in the history of magic. That's terrible news. RIP, Martin. This is very sad news. I bought much interesting magic from him in my late teens, I still read all my Spellbinder magazines. (Stephen Tucker). More recently the Fred Robinson Book, Peter Duffie, was really good. Sad news indeed, we heard earlier today but respected the family's wishes to make no comment until after 2pm today so that all relatives could be contacted first. This is indeed sad. I had a number of dealings with Martin over the years and he was such a gentleman and had a great eye for great magic. He will be sorely missed. I am very Sad to announce, that one of magic’s loveliest, and most helpful people, Martin Breese, has died. Over the years, our path has crossed many times, sometimes in the most unexpected of places. I have very fond memories of visiting him on his stall he used to run on the Portobello road, and the hours spent browsing through his hidden stock of magical treasures. Indeed it was Martin, who taught me how to hunt for magic, on stalls that most collectors would pass by. Thanks to him, I have a superb Glavum magic set, which I paid very little for, because the old lady that run the stall, had absolutely no idea what it was. The set it’s self is common.. what made it special was all the extra things that had found its way into the bulging box of treasures. Martin was, as well as an inventor, and publisher, one of the greatest minds on magic. I doubt that there was a magician alive over the last 60 odd years, that Martin hadn’t known. Those who were fortunate enough to receive his newsletters, will know this, as he had recently been posting out his life story. And a fascinating tale it was. Sadly, his battle with cancer has been lost. And we magicians have lost much too. His Magi-cassettes, and digitalised magic books and magazines, are something all magicians should own. and his works on Al Koran, and horwitz, have become the Classics of mentalism. I wanted to seize this opportunity to communicate with and thank Martin’s customers – as, I know, the magic community is a very special one – and was an extremely important part of our father’s life. I was, as so many have been I’m sure, inspired by this kind and talented man. Martin started contributing to the advancement of Magic at a very young age – as you will notice from this inspiring photograph we have asked to be included…!! I had the enormous privilege of being Martin’s son. I was able to list his achievements as he began to pass away and we knew he could hear. He contributed over 60 years of work towards Magic. He supported others at every opportunity. He published a long list of fiction and non-fiction titles and was even a well-respected authority on Modern First Edition books. He also contributed with many other creative endeavours of note. I am proud, in a way, to say that, when realising that Martin had just a few days left, one of Doctor’s cried and so did many of the hospital nurses. When we thanked a nurse (many of whom had been caring for him for over a year), she said “No – I am grateful to him”. She went on to explain that he had recently written letters on her behalf regarding her accommodation issues, contacted solicitors and made phone calls. In the last hours, Martin remained playful and cheeky! When attending to his mouth, he ‘bit’ one of the nurses finger – she called him a cheeky monkey and he grinned the widest grin you could imagine. All this from a man who wasn’t able to speak or hardly breathe at this point. To my memory, the last word I heard him say, when his loving wife Pang asked how he was feeling was a simple and amazing… ‘good’. No doubt Martin’s life will continue to inspire and amaze. Only yesterday did I hear from his former wife Jill (they remained close friends) that Martin survived a bomb blast in London during the Blitz of World War Two - to the point that the windows in his room blew out. This brings me to the last point - he never, ever – not once complained – in his whole life, and certainly not during over a year of intense, near non-stop chemotherapy. Our whole family is indebted to the amazing team at the Royal Sussex – it’s easy to say, but we cannot tell you how lucky he was to have this breath-taking care. One of the senior consultants, when breaking the news of Martin’s very grave outlook a few days ago – stated what a character Martin was. He then repeated his exact words in a deeply sincere and affectionate manner. He was indeed a character. What a magical life he had, and a life so well lived. If you would like to offer your reflections on Martin’s life, in particular with reference to those to the world Magic community, we would love to hear these – maybe even if his work or products had a hand in inspiring you. We may even later ask permission to include a few of these in tribute to him. Please send these messages to John’s email address (john@abracadabra.co.uk). 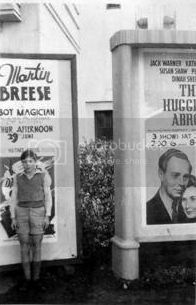 James Breese, Martin’s proud and loving son. "You were good to me and I dont forget and today I have almost had a miracle cure from Leukaemia and actually will be allowed for a week or so to return home nearby to marry my Thai bride to be so let's celebrate! Martin"
From what he said I was under the impression that he was well on the road to recovery. I found the news of his passing to be quite a shock and am very sad to hear it. That really is sad news, all my thoughts go out to his friends and family. Did not know him but knew of him and his input into the world of magic, used his site a few times. Deeply saddened by such a tragic loss. Magic has lost one of the nicest guys in the business. A Gentle Man and a Gentleman. I first met Martin at IBM in 1989 and the picture of his cheerful face and so friendly manner has never left me. Nothing was ever too much trouble. Would there were more like him. I finally spoke to him when he phoned me twice after our mutal friend Val Andrews' death. We had a long talk about Val --whose work he treasured. My thoughts & prayers are with James, his Mum and the rest of the family. BUT james--he has left a legacy of wonderful Magic in books and CDs and DVds and above all of a delightful, kind and caring human being.